Owner and self-described daydreamer, Shawn DeKay. Published April 12, 2018 at 4:01 p.m.
After working as a medical courier, Shawn DeKay decided to pursue a dream and become a full-time painter. He knew, however, that wasn't going to be easy and that he would need to supplement his income in other ways. 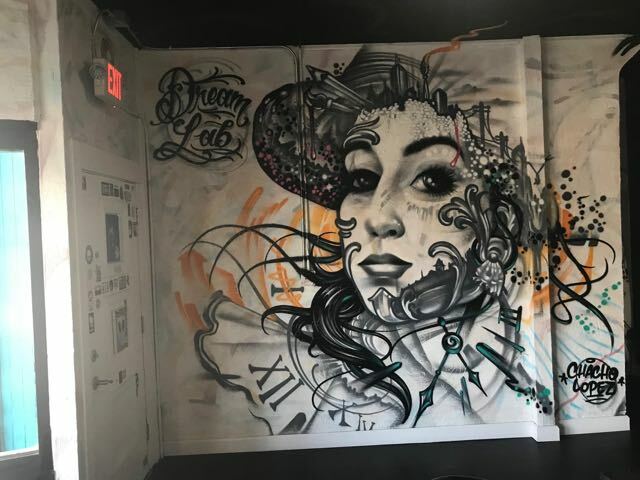 So earlier his year, DeKay opened Dream Lab, 327 W. National Ave., a cafe and art space in the Walker's Point neighborhood. 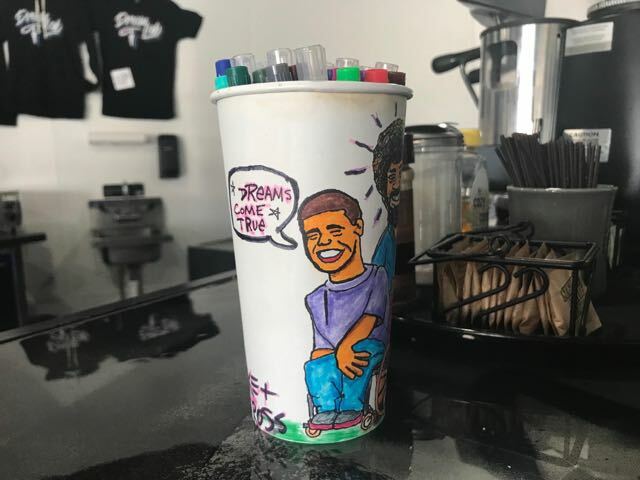 "Dream Lab is a place where creative people can come and convene and dream and talk and make some cool stuff," says Dekay, a graduate of South Division High School and a lifelong South Sider. 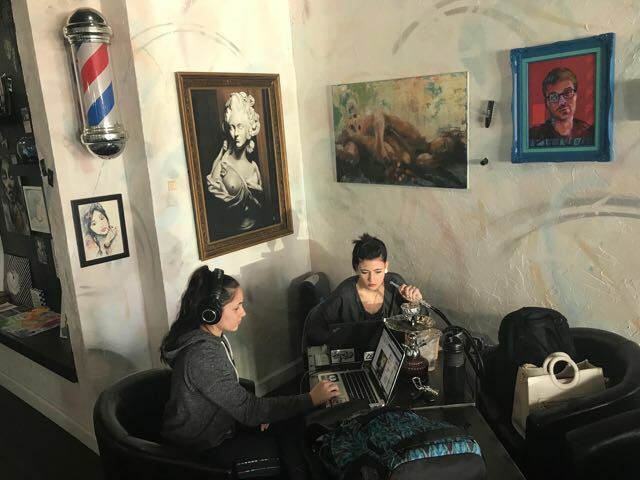 Formerly a barber shop (the barber pole now hangs amongst the art), Dream Lab is a cozy space with a lot of natural light, numerous tables with leather chairs, fun knickknacks, a plethora of art by local artists, a television airing episodes of "The Joy of Painting" with Bob Ross and a massive mural by Milwaukee's Chacho Lopez. "Chacho is a super big name in the mural game," says DeKay. Dream Lab will host monthly classes and events and plans to expand into an adjoining space within the year. "We had our first class on Friday night," says DeKay. "It was a collage class and so there was paint and glue and scraps of paper everywhere. It was a mess. It was beautiful." Dream Lab serves Counter Culture coffee, mostly craft bottled beer and bakery from Canfora Bakery and East Side Ovens. Hookah service is also available. DeKay executed about 60 percent of the build-out himself and handled all of Dream Lab's business aspects without a lawyer or accountant. "It's been an incredible amount of work, but so far, definitely worth it," he says. DeKay says he is always looking for new art to showcase and encourages people to come in to network, share ideas and to "clear hurdles" so they can take their art to the next level. "A guy just came in here and said he made a bunch of T-shirts in his garage and he wasn't sure what to do next," says DeKay. "That's what we're here for." Dream Lab is open Tuesday-Sunday from 10 a.m. to midnight.